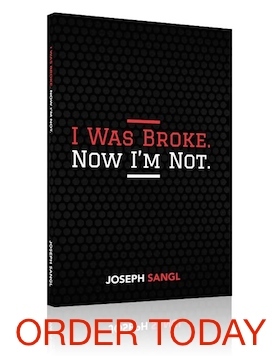 Welcome to the latest series on the wildly popular website – www.JosephSangl.com! With this series, I will be sharing how you can use some of the calculators from the "TOOLS" page to take your financial plan to the next level. A mortgage or real estate loan is really the only type of debt that I can tolerate (barely), so here is another FREE tool from the "TOOLS" section of the web site. To calculate your principal and interest mortgage payment (does NOT include any escrow such as PMI, property taxes, HOA Fees, or hazard insurance), you will need to know three things. If you want to calculate the monthly principal & interest payment for a fixed-rate 5.750%, thirty-year $125,000 mortgage, pull up the "Mortgage Payment Calculator". Suppose you want to understand what the P&I payment would be for the same mortgage, but for a 15-year term. Change the mortgage period to 180 months. The payment goes up $309/month, but one will become debt-free FIFTEEN years sooner! One could also use this calculator when considering refinancing. This is a great time to use this calculator with interest rates dropping. Now all I have to do is find a lender who won’t gouge me for a bunch of closing costs. I agree about the closing costs. I wonder what “reasonable closing costs” are on a no hidden fee, no points refinance for a house of about $100,000? I guess I can deduct it from the Mortgage amount, duh!